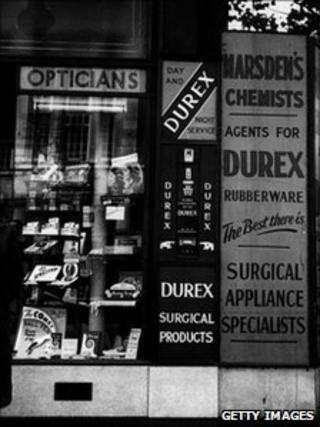 SSL International, the maker of Durex condoms, is set to be sold to Reckitt Benckiser - the firm behind Cillit Bang cleaner and Finish dishwasher tablets. The two companies have agreed a deal that values SSL, which also makes Scholl footcare products, at £2.54bn. Reckitt Benckiser, whose other brands include Nurofen and Gaviscon, said the purchase would offer a "step change" in its health division. It added the deal would boost its business in China and Japan. Anglo-Dutch group Reckitt will pay 1163 pence per share for SSL under the agreed takeover deal - and will also pay a final dividend due for SSL investors. The offer is a 32% premium on SSL's closing share price on Tuesday, and when trading got underway on Wednesday SSL's share price jumped 33%. Reckitt said the deal would increase sales in its health and personal care arm by about 36% to £2.8bn. Both Reckitt and SSL warned that the takeover was likely to lead to job cuts as savings were found. SSL employs about 10,000 people worldwide. In the UK it has headquarters in London and manufacturing bases in Manchester, Peterlee in County Durham, and Redruth in Cornwall. It has operations in more than 30 countries - and manufactures goods in China, India and Thailand as well as the UK. Slough-based Reckitt employs almost 25,000 people globally. Its other well-known brands include Strepsils, Vanish and Dettol.